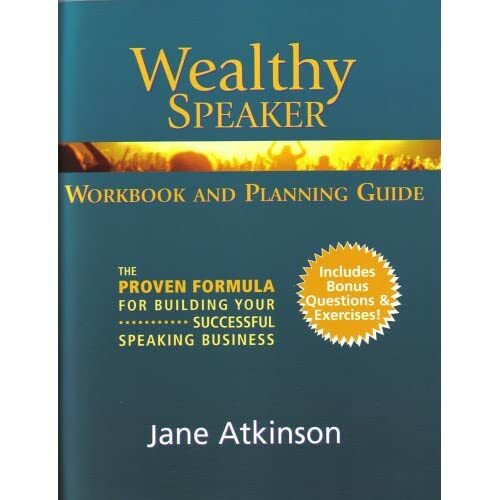 I am currently reading The Wealthy Speaker by Jane Atkinson. Between its covers, Ms. Atkinson, devotes few pages to discussing cash flow or spreadsheets, while much ink is dedicated to changing one’s thoughts about money. It is her premise that our income basically determined more by how we think than by the actions we take. Of course, those considerations then produce behaviors, which lead to results. Therefore, if we “dig down” and adjust them, we will do what we do in an altered manner. This provides fresh results improving our business. In effect, change your thoughts; change your financial life. The barricade is our ol’ buddy, Denial. Let me expand: Suppose you’re in a floundering relationship. You didn’t get there overnight; it began subtly, “the small things.” For example, you don’t talk as much. “It’s no big deal,” you think, “We’re just busy right now.” That might be accurate; having said that, “something” still feels off. But, you put it to back burner until you have more evidence — or time. After awhile, your “couple’s time” becomes more sparse. You are roommates more than partners, on parallel tracks with no intersections. Logically, you can explain it away. “We’ve both got so much on our plates; things will get back to normal soon.” No action taken. It’s a pattern experienced by millions of couples. Despite the warnings, and their ever-increasing appearances, we are able to rationalize what’s going on, while denying what we felt. Therefore, for most, it takes getting slammed upside the head with a brick (again, “figuratively”) before we do what must be done. This is in any facet of our lives, from our relationships to diets to finance. Newton’s first law of motion says that a body in motion will remain in motion unless acted on by an external force. In effect, we will do what we do until, painfully; we can no longer deny the results of our actions. Once at that place, we are so overwhelmed, that it seems an insurmountable problem and we remain stagnant in unhappiness. First of all, it is not unbeatable if we break it into small steps, and engage in them with regularly and immediacy. That stated, it’s still healthier to avoid that unhappy condition by understanding the urgency of emotions when it comes to moving forward. Look at it this way; our feelings are the gasoline fueling the engine; logic is then the steering wheel. Without the first, we’re going nowhere. Without the latter, we’re out of control. Developing both is essential to leading a happy, well-adjusted life.